Click on thumbnails for full resolution images. 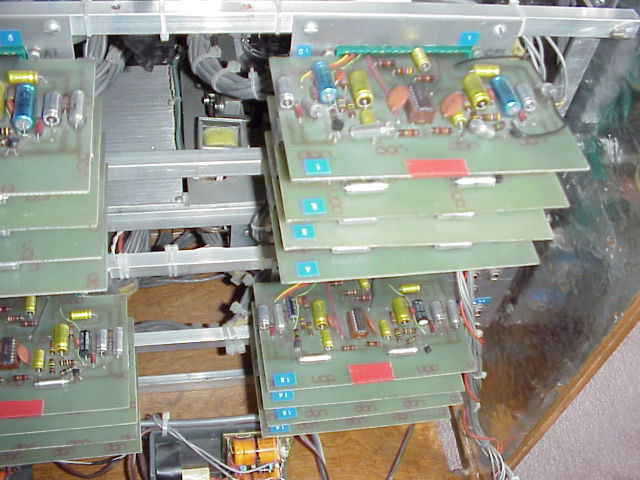 The Minitron consists of 48 keys in a slideout keyboard (which stashes away for shipping).� Each has its own individual attack, release, and volume controls.� These controls operate six broadcast cartridge tape drives, each having eight tracks.� Thus, each of the tracks on a cart contains the tape loop for one key. 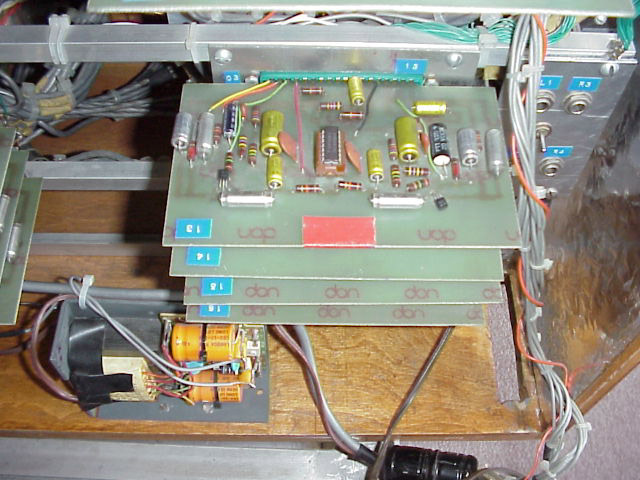 Since these loops are real tape loops, they are played continuously, with no start or end point.� This means no tape rewind when the note stops, and the length of the "sample" is limited only by the cartridge's length, which can be up to forty minutes.� This makes not only for unheard loop points, but also means that since you don't know where in the loop you'll be playing when the key starts, the Minitron is perfect for atmospheres, pads, and background beds.� As the sound designer knows, these sounds repeat noticeably if less than several minutes long, and are difficult to use, since most samples start at the beginning of the recording.� With the Minitron, the "beginning" can be anywhere in the loop. 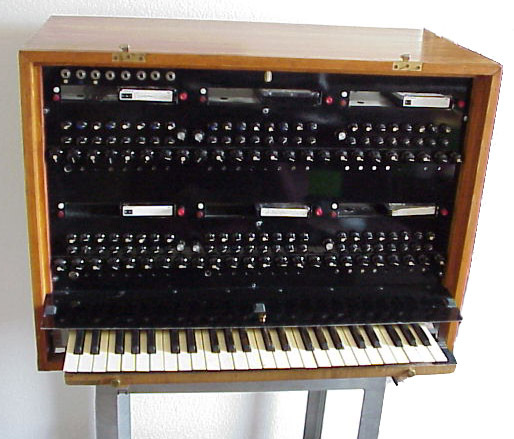 There are eight jacks on the upper left hand corner, to facilitate the recording of your own loops.� (Only the first cartridge is record-enabled. 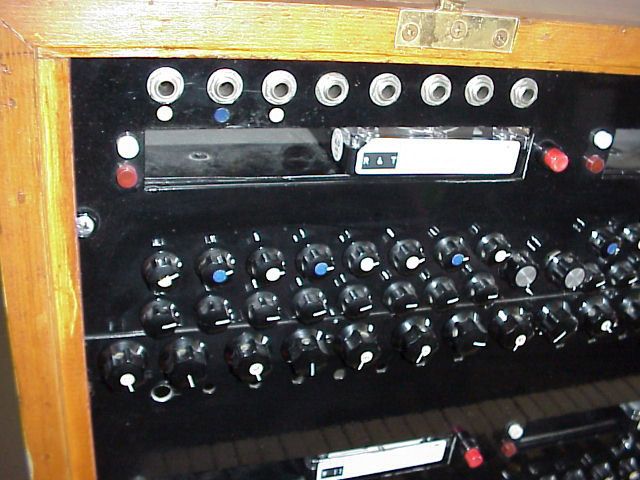 )� And since there are only six carts, which each pull out at any moment, the entire tape rack can be changed in 30 seconds, with other notes playing while carts are taken in and out!� Try that with a Mellotron! 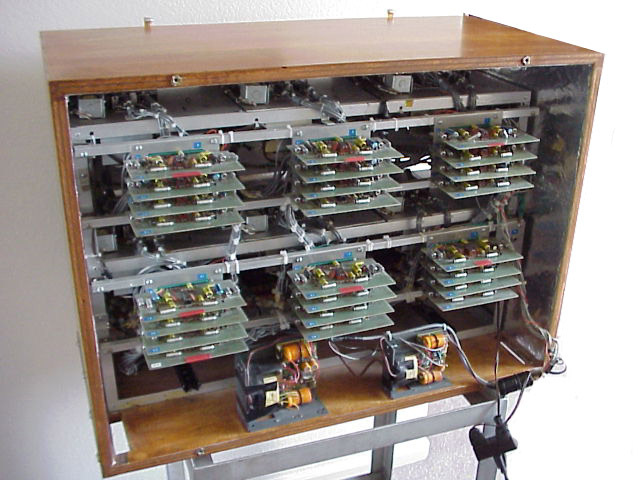 Several of our artists have used the Minitron in last several years.� It takes a little maintenance, because of the mechanics, but it's really no big deal.� Recently, we decided to sell the Minitron, as it became evident that it was getting more use as a decoration than as an instrument, and that was never its purpose. We're very pleased that it has found a new home, and we're sure that it will last for many more decades because of Norm's attention to detail.� This keyboard was but one of over 100 in PME's collection. 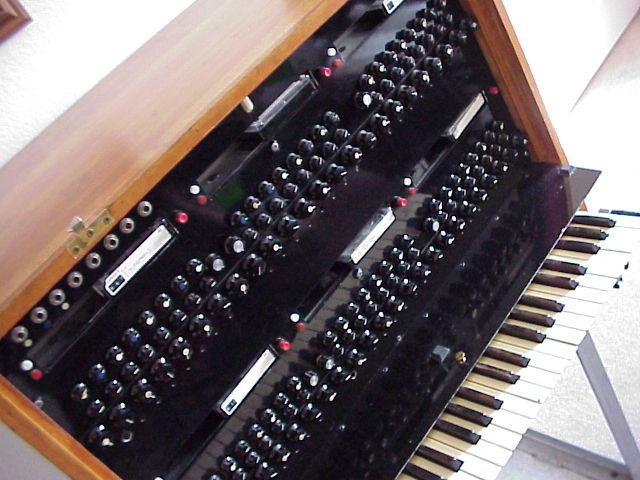 If you'd like to know more about this or any of our other classic keyboards contact Craig at . You can view most of the collection here. And if you'd like to talk to Norm about the incredible Induction Loop Assistive Listening Systems he's pioneering right now, e-mail him at: info at ovalwindowaudio dot com, or visit Oval Window Audio on The Web.